Bidang, Iban people. 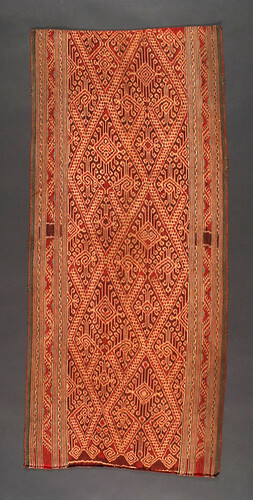 Sarawak 20th century, 48 x 107 cm. Nabau motif. From the Teo Family collection, Kuching. Photograph by D Dunlop. Isaac Newton, Mathematical Principles of Natural Philosophy. Translated by A Motte and F Cajori. University of California Press 1934, page 639. Isaac Newton, Mathematical Principles of Natural Philosophy. Translated by I. Bernard Cohen and Anne Whitman. University of California Press 1999, page 404.